Very little on the land with just a Garden Warbler and four Whinchats of note and a few Meadow Pipits and a Grey Wagtail flew over. The sea was also much the same as it has been with lingering Arctic Skuas, a Great Skua and a Black Tern and a Balearic Shearwater flew east. 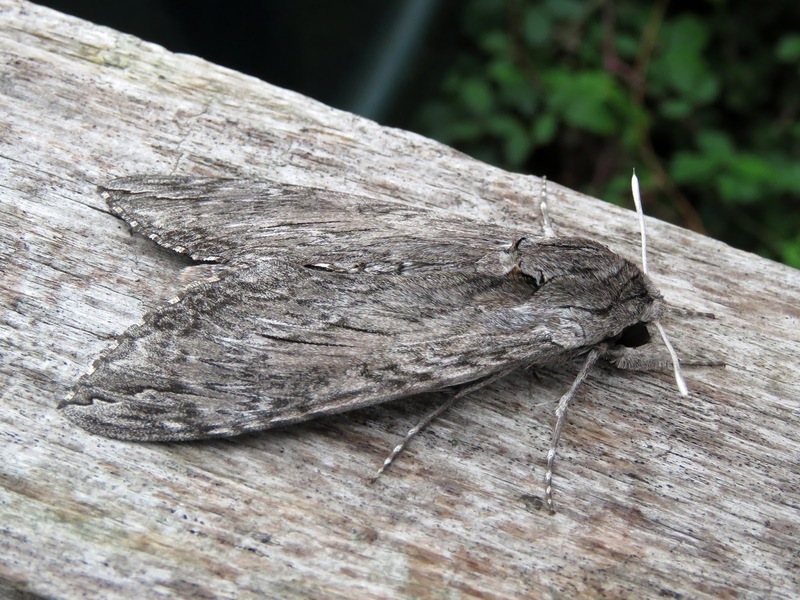 Fairly small numbers of moths were trapped overnight but they did include a Convolvulus Hawkmoth and a Scarce Bordered Straw. A Hummingbird Hawkmoth was seen in the moat and two Clouded Yellows were also seen.